New Update: Apple has since released the iOS 11.3 beta 5, but as it’s only been out a couple of hours it’s difficult to discern what is new and what was changed. Because the iOS beta patch notes are all lumped into one, it’s difficult to discern what specific fixes were added with iOS 11.3 beta 5 versus the releases we saw before. As developers get their hands on the update, we should see a flurry of tweets and posts regarding the success of the new beta and the various bugs fixes and potential new features it addresses. iOS 11.3 beta 5 is available for download now via an over the air update for those with the appropriate profile. iOS 11.3 has been in testing for several weeks at this point, with multiple members of the development community as well as testers in the general public looking forward to a number of features that will be introduced to the phone upon the full release. While the only major shakeup we had with the iOS betas was with beta 2 that introduced the Battery Health feature, each successive release has given us a more stable operating system with fewer bugs and better performance. iOS 11.3 beta 5 likely won’t reinvent the wheel, but it will represent one of the last builds before we see the full iOS 11.3 in all its glory. The question on everyone’s mind regarding the release of iOS 11.3 beta 5 is when exactly we’ll see the new build brought into widespread testing. 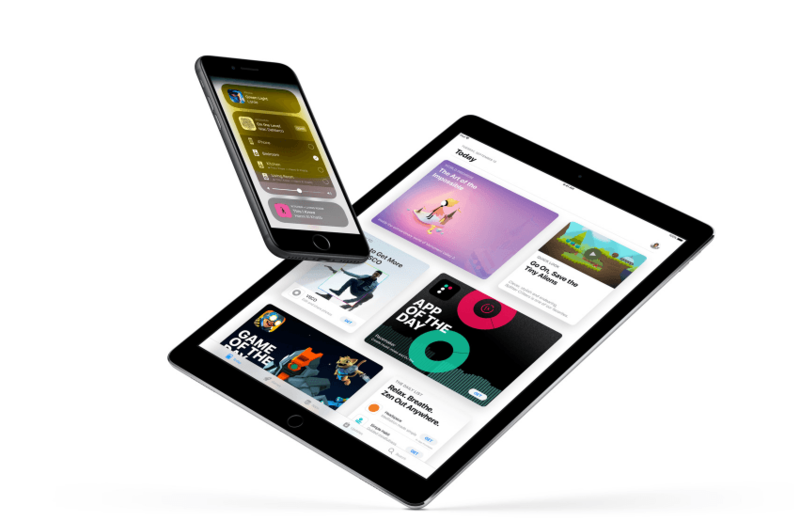 While Apple has previously been pretty reliable with weekly or biweekly releases of the iOS beta builds, iOS 11.3 beta 5 and the previous beta releases for 11.3 have been a little less predictable. The truth is, there’s a lot riding on the release of iOS 11.3, and it’s important that Apple iron out as many of the issues as they can before the full retail launch. While we won’t likely see any major features introduced with the launch of iOS 11.3 beta 5, we will see further refinement of some of the big additions coming to iPhone and iPad that have many eagerly anticipating the iOS 11.3 release – perhaps most important among them being the Battery Health management feature. In the past couple of months, it has come to light that Apple is indeed slowing down older iPhones – purportedly to save the devices from random crashes due to an aging battery. The past couple of generations of iPhone have utilized lithium-ion technology in their devices which, while a massive improvement over other forms of battery tech, start to lose their capacity after a certain number of charges. Apple had started throttling older iPhones in order to reduce the possibility of random crashing, but iOS 11.3 beta 5 and the eventual release will bring about a battery management feature that will allow users to turn off throttling, with the understanding that doing so may cause crashes moving forward. All in all, Apple has lost a lot of goodwill due to the reveal that they were, in fact, slowing older phones. The lack of transparency has caused outrage in the iPhone community, with many resorting to buying new phones when a simple battery replacement could have addressed the issues. This no doubt led to an increase in sales for Apple, but the PR disaster is certainly causing them problems now that the truth has come to light. The company had previously introduced a discount on battery replacement – costing $29 rather than the full price of $79 – but iOS 11.3 beta 5 further refines a feature that will let people bring their phones up to full speed without any further investment. As far as when exactly we’ll see the release of iOS 11.3 beta 5, it will likely be available for download in the next week. While the iOS 11.3 betas have generally stuck to around a two-week release window (despite some variations here or there) the spring event from Apple may push the release date either further forward or backward. Because of this, it’s difficult to determine an exact window for launch. When iOS 11.3 beta 5 does release, we should expect a full iOS 11.3 launch soon afterward. All in all, the general public should get their hands on all of these great new additions within the next few weeks. Alongside the Battery Health feature comes improvements to the native Messages app, including Animoji improvements, Messages in iCloud and the launch of a new business chat feature.